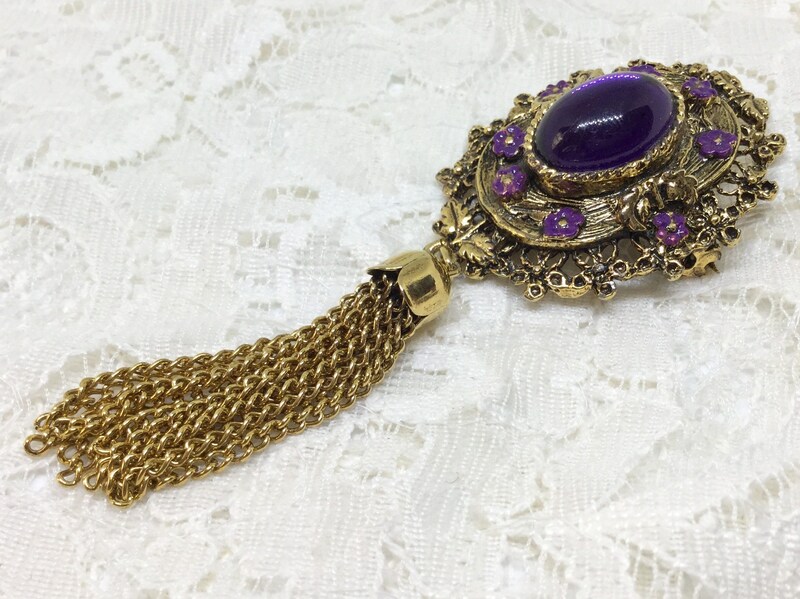 This is a great goldtone brooch with a large purple glass cabachon and goldtone chain tassel. 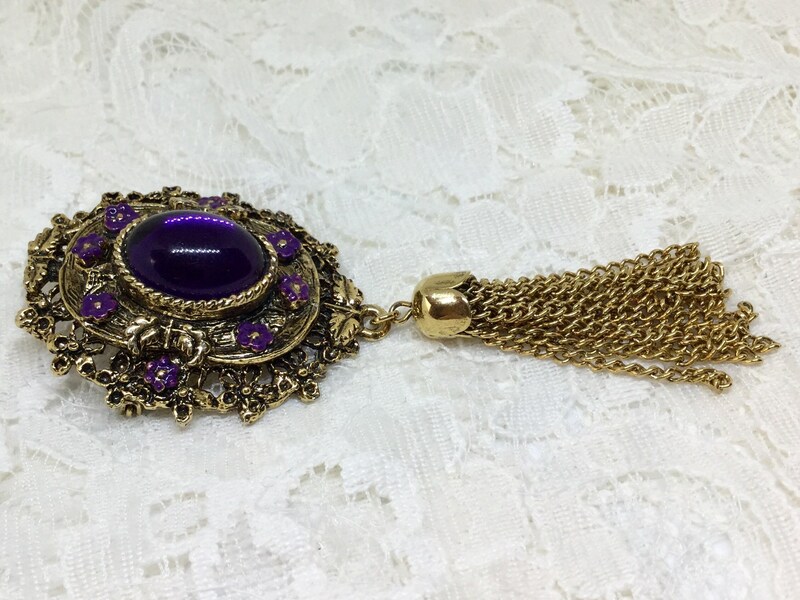 The layered brooch has the top layer with a purple glass center in 'a gold rope setting, the next layer down is purple enamel flowers sitting on a wide goldtone ledge, and the bottom goldtone layer is a lacey open work design with a purple enamel flower on each side. 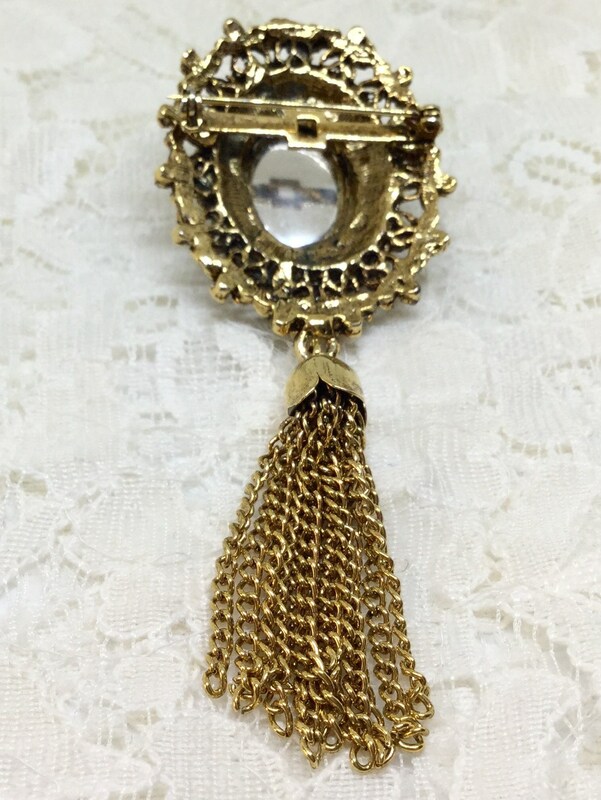 The dangle is twelve gold chains topped with a goldtone cap. 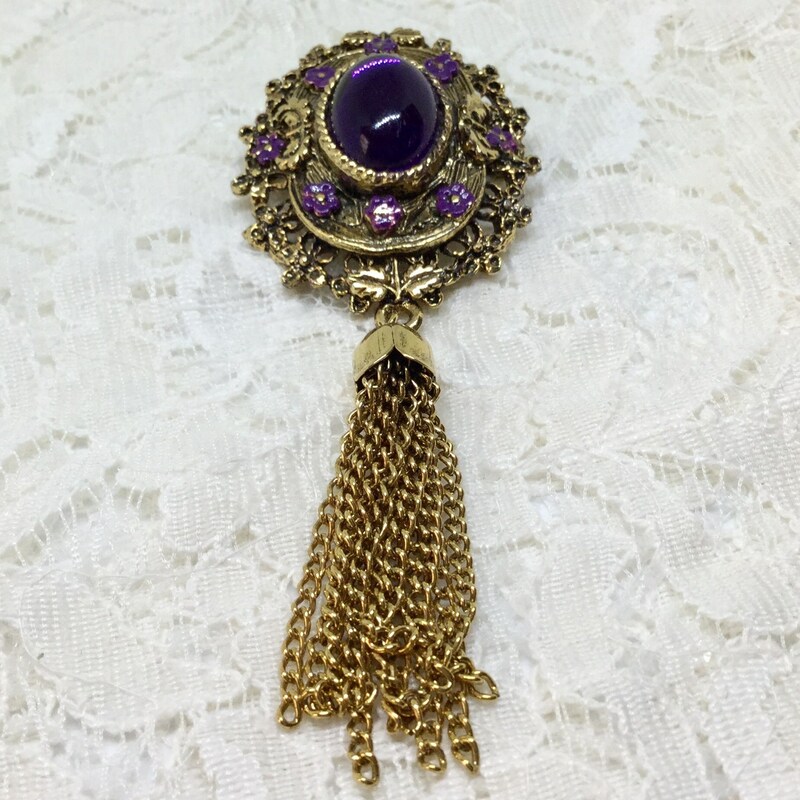 The brooch measures 1 1/2” x 1 3/4”, the dangle measures 2” long, and altogether it measures 1 1/2” x 4”. 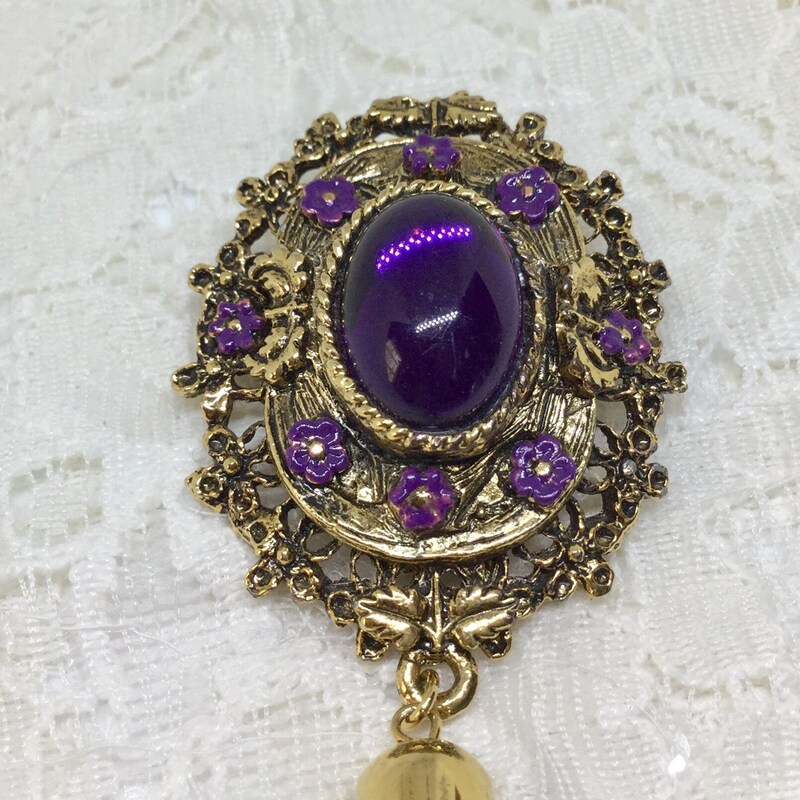 The pin back is straight and closes smoothly and securely. 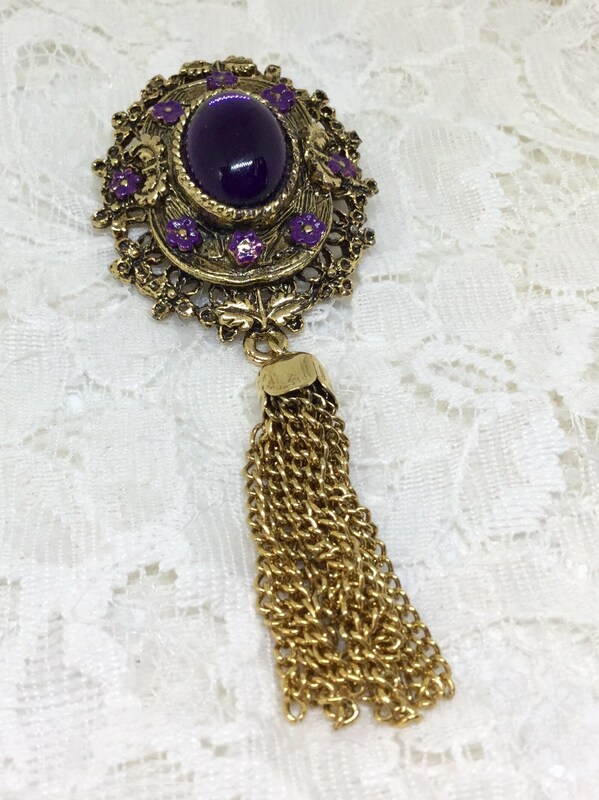 This is a great item for a little flair on a jacket, hat, scarf, or coat!